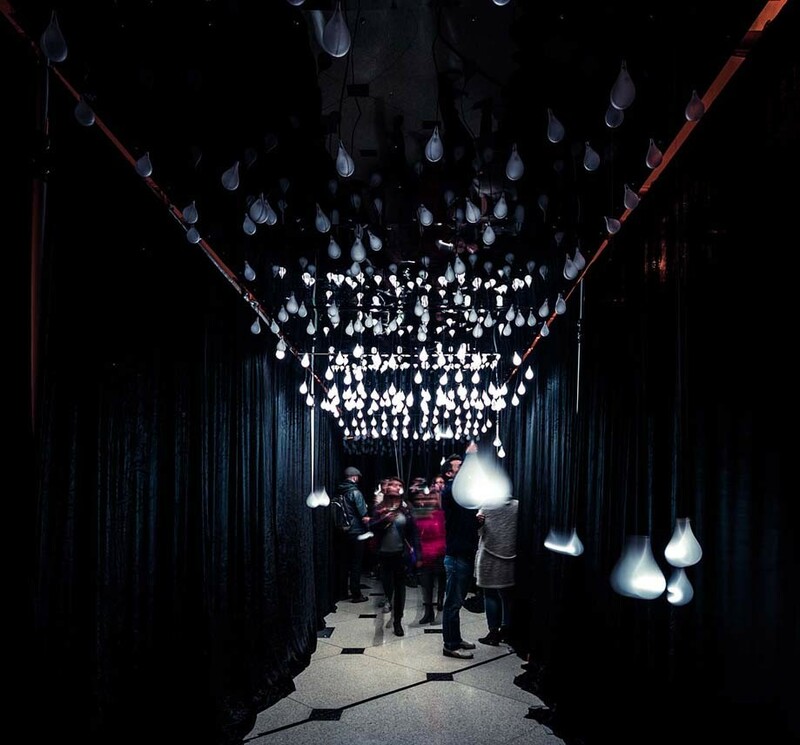 This interactive installation, displayed in the Design Fabrication Zone’s west-facing window onto Bay Street, will feature complex patterning and responsive technologies, where-in LED lights are triggered by motion or pulse sensors. The DFZ is a hub for experiential learning, “hands-on” learning that takes place outside the traditional classroom. 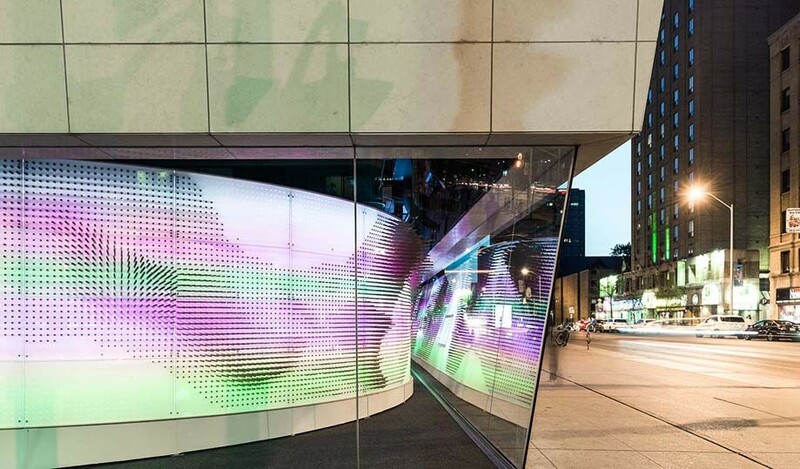 The responsive qualities of the DFZ’s window installation portray the DFZ as a space that encourages engagement and interaction with technology. 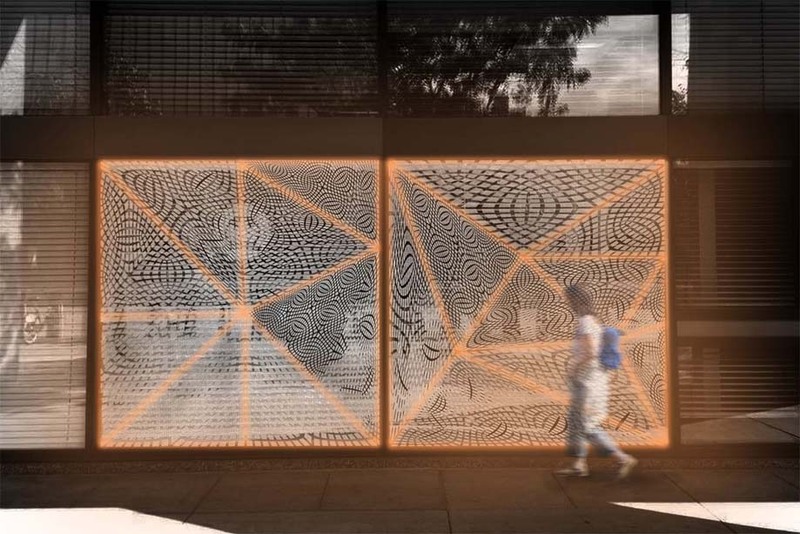 Abstracting a window, a physical boundary separating outside and inside, this installation also signals experiential learning dismantling boundaries established by the traditional classroom, including career and school and teacher and student.